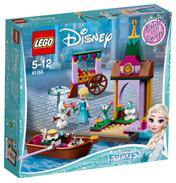 LEGO® Brand Disney Princess allows girls to build and play stories from their favourite fairytales. 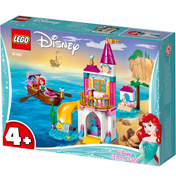 Princesses including Cinderella, Ariel, Merida and Rapunzel, in glamorous dresses, will come to life for them as they recreate romance, adventure and heroism. 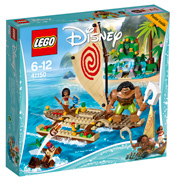 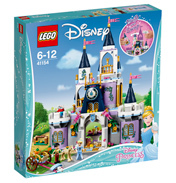 LEGO Brand Disney Princess has all the elements, such as castles, towers, a carriage, treasure chests, gateways and more, for girls to play out these classic stories, time after time. 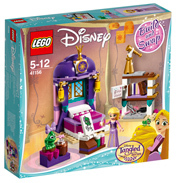 Yet among the spells, secrets and hidden treasures¬ there is plenty to inspire them to build their own fairytales. 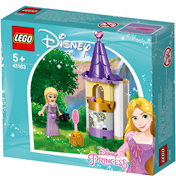 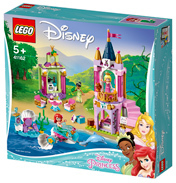 LEGO® Brand Disney Princess lets your girl build scenes from her favourite fairytales. 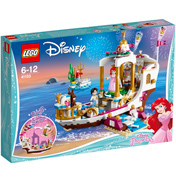 Beautiful and iconic princesses including Cinderella, Ariel, Merida and Rapunzel will sweep her away into familiar tales of romance, heroism, magic and secrets… and inspire her to build her own fairytales.